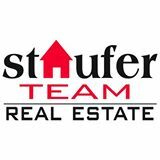 Staufer Team Real Estate - Get Involved. Make Friends. Enjoy Motherhood. Residential and Commercial Real Estate Sales and Property Management in the greater Boulder / Broomfield, Weld and Jefferson Country Areas.